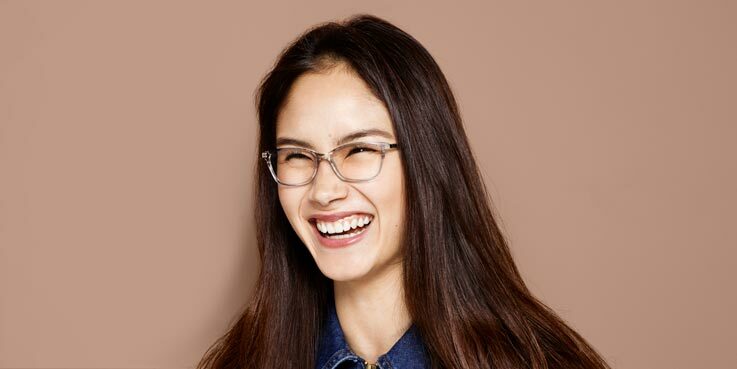 At Specsavers, students can save 25% off the latest designer glasses. So you’ll pay only €111.75 for glasses from our €149 designer ranges. That includes exclusive styles from Puma, Cheap Monday, Karl Lagerfeld, FCUK®, Osiris, Aurora and Red or Dead, and the latest styles from BOSS Orange, Karen Millen, Max&Co, Timberland, Quiksilver, and Tommy Hilfiger. We offer an extensive range of on trend designer glasses at prices you’ll love. If you’re looking for fashion glasses to make a statement or just to update your look, we have frames to suit you. If you’re having trouble deciding which frames to go for, our expert frame stylists will help you find your perfect pair of designer glasses. When you go in store they will recommend the best frames for your face shape and personality and make sure you’re happy with your new look. You can also use your valid student ID to get the opticians’ student discount on any pair of glasses from our €89 range and above. For €89-€189 and Boss Orange ranges you get standard and other 1.5 single vision lenses. For €219 Fineform and Rimless ranges you get and other 1.6 single vision lenses. All our glasses come with a scratch-resistant treatment. Cannot be used with any other . Offer applies to one pair of complete glasses only. Excludes reglazes, safety eyewear, any contact lens products and non-prescription sunglasses. Discount not transferable in whole or part for cash.